What are Napoleon Hill’s Laws of Harmonious Attraction? | Sarder TV – Learning Ideas. You are at:Home»Business»What are Napoleon Hill’s Laws of Harmonious Attraction? 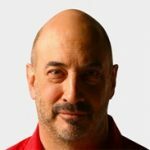 Jeffrey Gitomer explains the various facets of Napoleon Hill’s concept of the Laws of Harmonious Attraction. According to Gitomer, the concept covers a variety of ideas from the use of the golden rule, seek out people who are successful, develop friendships with people who have common interests and always be open to learning from others. Previous VideoWhat did Napoleon Hill mean by developing a “chief aim in life”? Next Video How should entrepreneurs approach risk taking?